The NCCA has accredited the NALA Certified Paralegal certification program for a five-year period, expiring April 30, 2019. Founded in 1975, NALA is a professional association providing continuing education and professional certification to paralegals. 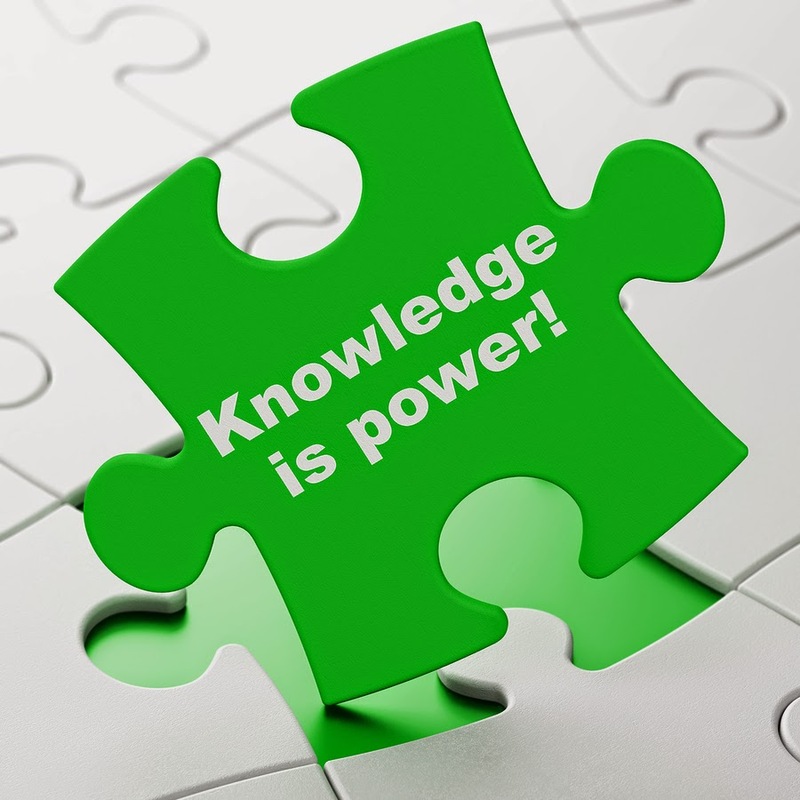 Currently, over 8,900 paralegals may use the Certified Paralegal (CP) designation. The CP credential has been awarded to over 17,822 paralegals in its span of almost 40 years. The Certified Paralegal (CP) program is the first certification program accredited by NCCA which serves the legal community. NALA received NCCA accreditation of the Certified Paralegal program by submitting an application demonstrating the program's compliance with standards outlined in NCCA's Standards for the Accreditation of Certification Programs. 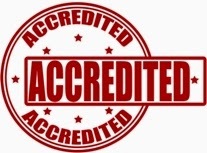 NCCA is the accrediting body of the Institute for Credentialing Excellence (ICE). Since 1987, the NCCA has been accrediting certifying programs based on the highest quality standards in professional certification to ensure the programs adhere to modern standards of practice in the certification industry. The NCCA standards require demonstration of a valid and reliable process for development, implementation, maintenance, and governance of certification programs. NCCA uses a rigorous peer review process to establish accreditation standards;evaluate compliance with the standards;recognize organizations/programs which demonstrate compliance; and serve as a resource on quality certification. The NCCA Standards are comprehensive and cover all aspects of the certification program, including administration, assessment development and recertification. accreditation, organizations are required to submit annual reports to NCCA and must undergo a reaccreditation every five years. Accreditation provides third party oversight of an assessment system. It provides a mechanism for associations to demonstrate to the profession it represents,and the general public it serves,that its credentialing program has been reviewed by a panel of impartial experts that have determined that the program has met the stringent standards set by the credentialing community .Accreditation by NCCA provides organizations a way to answer the question, "who reviewed your certificate or certification program? ", a question often posed by members of an occupation, employers, and somet imes,the courts. There are more than 270 NCCA-accredited programs that certify individuals in a wide range of professions and occupations including nurses, financial professionals,respiratory therapists,counselors, and emergency technicians,and more. ICE's mission is to advance credentialing through education, standards, research, and advocacy to ensure competence across professions and occupations. NCCA was founded as a commission whose mission is to help ensure the health,welfare, and safety of the public through the accreditation of a variety of certification programs that assess professional competence. When the newly announced five-member national board officially took office in March 2014 at the NALS Professional Development & Educational Conference in Tulsa, Oklahoma, I could say I know each of them personally and communicate with them often. It's comforting to know that an important national association is in such capable hands. The 2014-2015 NALS Board consists of Tina Boone, PLS, Mimi Mangrum, Carl Morrison, PP-SC, AACP Audrey Saxton, PP, PLS, and President, Karen McElroy, PP, PLS.This board marks a significant governance restructure, and the consolidation intends to mark great growth and collaboration on a national platform. The 2014-2015 board celebrates vast diversity by way of age, region and office environments. Each board member possesses specific skills to lead NALS into the future. Karen McElroy, PP, PLS, President — Ms. McElroy is a paralegal at DiMuroGinsberg, PC in Alexandria, Virginia. She began her legal career in Columbus, Ohio while attending The Ohio State University. Karen joined NALS in 2002 in Phoenix, Arizona, received the NALS of Arizona Award of Excellence in 2005, and the NALS National Award of Excellence in 2009, the most prestigious member award. Karen is a veteran of the U.S. Air Force and brings her knowledge and experience of strategic planning, and her vision for the future of NALS to all legal professionals. Tina L. Boone, PLS, Secretary — Ms. Boone is a legal assistant with Waller Lansden Dortch & Davis, LLP in Nashville, Tennessee. Boone brings along notable leadership and fundraising skills. She and her ATHENA team helped raise over $100,000 in scholarships and sponsorships during her reign as the 2013 chair of her local ATHENA Award Program. With prior board experience, she envisions great growth within the NALS' membership, striving to grow membership by ensuring each state will have at least one thriving local chapter. Mimi Mangrum, NALS Director — Ms. Mangrum is Operations Manager and Paralegal to Kevin J. Orr, of Orr Willhite, PLC in Jonesboro, Arkansas. She envisions NALS as an association focusing on trending topics, providing additional and more interactive hands-on programs, and showing off the diversity of its membership. One of Mimi’s ideas for creating a better and brighter NALS of the future is to create a task force that would visit with chapters across the country and provide assessment and advice regarding leadership, communication, fundraising, certifications, and any other challenges local chapters may be facing. Carl Morrison, PP-SC, AACP, NALS Director — In addition to his service on the national board for NALS, Mr. Morrison serves as president of NALS of Oklahoma, chairs the Paralegal/Legal Assistant Section of the Tulsa County Bar Association, and is an active member of the Tulsa Area Paralegal Association. Last year, Tulsa Business & Legal News named him to its 2013 class of Power Attorneys & Legal Professionals, and was named the 2013 Paralegal of the Year by Avansic and the Tulsa County Bar Association. Mr. Morrison is a visionary leader with a keen interest in the legal profession and the impact recent and foreseeable changes have on the growth and evolution of NALS. Audrey Saxton, PP, PLS, NALS Director — Ms. Saxton is a skilled and visionary technologist with obvious relationship building skills. She works as a Judicial Assistant for the Hon. Brenden J. Griffin of the Pima County Superior Court in Tucson, Arizona. Her past fundraising successes and technological savvy complement her goal to bring NALS into the next generation with the introduction of cutting edge technology, mobile applications, and interactive learning tools to benefit the world. About NALS: NALS, Inc. is a tri level § 501(c)(6) association for legal professionals. NALS is dedicated to enhancing the competencies and contributions of members in the legal services profession. More information about NALS can be found at www.nals.org. Belonging to a professional association -- and which one is your personal choice -- is an important component of your career. The success of that association is determined by your input and your vote. To be an informed voter, you need to make a concerted effort to know your board and to communicate with them. How well do you know the members of your association's board? Despite US notions of innocence until proven guilty beyond a reasonable doubt, many innocent people have been sent to prison for lengthy to life sentences. Common reasons for these wrongful convictions are faulty eyewitness accounts, use of “junk” science as evidence, and informants with conflicts of interest. 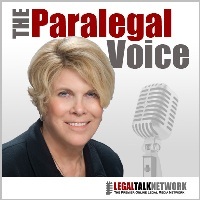 On this episode of The Paralegal Voice, I interview Professor Marla Mitchell-Cichon from the Cooley Innocence Project at the Thomas M. Cooley Law School. We discuss the Innocence Project and the Post Conviction DNA Testing Statutes that opened the door for exoneration of the innocent around the country. We also discover how the convicted innocent have less help than guilty parolees upon their release. Tune in to learn more about coerced confessions, bad actors who cause false convictions, and what remedies the wrongfully convicted have. Professor Marla Mitchell-Cichon began her teaching career in 1986, following service as a public defender. Her clinical teaching includes post-conviction, criminal defense, general civil practice, elder law and externship. Professor Mitchell began teaching in Cooley’s Innocence Project in 2002. She serves as the project’s co-director. In 2006, Professor Mitchell received the Justice For All award from the Criminal Defense Attorneys of Michigan for her Innocence Project work. Professor Mitchell’s litigation experience includes practicing before the U.S. Court of Appeals for the Sixth Circuit, the Ohio Supreme Court, and trial and appellate courts in Ohio and Michigan. Professor Mitchell’s publications are in the areas of criminal law, elder law, ethics, and clinical teaching.